There’s a great article in the NY Times about those Americans who did not support the American Revolution in 1776. The author’s guess is that around 20% of the population did not support the revolution. It should not be surprising; people are rarely in harmonious, unanimous agreement about… anything. But it’s worth bearing in mind. I’m probably the only person on the planet who thinks the American Revolution was ultimately a failure…. because we were reconquered by the British a hundred years ago. Notice that the petition was situated on Wall Street. Well, some things haven’t changed. Wall Street was then and is now, home to the “Royalists”, if you will. The “moneyed interests” were defeated in 1776, but the wealth and power Britain wielded was immense. In time, Britain was able to get a toehold in her former colony using that most diabolic of weapons: Money. As a young nation we were starved for it and didn’t really care where it came from. A certain class formed, primarily on the east coast, right around New York (the “Empire State”), whose allegiance was to power; not America. I suppose it wasn’t the British reconquering us so much as the old guard reasserting its power against a young upstart. Still, the British connection is worth looking into. Why do we care about the Queen or Princess Diana? Wall Street is associated with the CIA, and the CIA is closely tied with MI6. Our intelligence apparatus is intrinsically bound with that of Britain and her other wayward colony, Australia. The UK/USA axis is currently the strongest in the world. It does seem a bit odd that our closest ally (in Iraq and other places) is our old colonial master, doesn’t it? I suppose after WWII some old wounds were forgotten (or forgiven, anyway). But it is curious that we have such enmity in this country for France, the nation that gave us the Statue of Liberty and helped us fight against the British. But the hard part, as always, is figuring out who’s a patriot and who’s a tyrant. I can give you a few hints, though: In a hierarchical society whose class system is based on accumulated wealth the poor folks certainly do not have a chance to be tyrants, whereas those sitting at the top of the pyramid might behave like aristocrats without even realizing it. 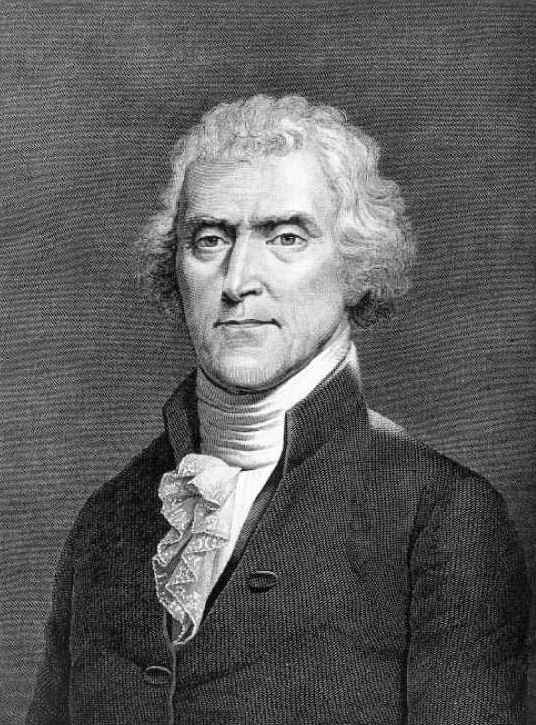 Let’s hope Thomas Jefferson doesn’t rise from the dead anytime soon. We’ll feel like the Native American tribes who sold vast tracts of land for nothing more than beads, trinkets and gunpowder. I doubt Jefferson will be nearly as impressed with our high-definition TVs as we might be. “You exchanged your God-given Freedom for WHAT?! !” he’ll say. Interesting write. I’m reading a book about the MI6 right now. Ironically (or perhaps not) I know many many ideologicals on the right who would agree with you saying we traded our freedom for <>what?? ?<> but got at it from a slightly different angle. thanks for the invite, Hedy! I need my fix….thanks for the post, kevin. This blog is tough on neocons, but I have a lot of libertarian tendencies myself and I’m always glad to hear from folks who have come to similar conclusions from different angles. As this post makes clear, Liberty is <>not<> something we can all agree on, unfortunately, but I am always willing to find common ground with those who truly cherish freedom.fallout: that quote is awesome and I’m going to use it the first chance I get! The ground in which Liberty grows, must be fertilized regularly with the blood of tyrants and those that aid them.